The New Zealand Green-lipped mussel is used by more and more people in The Netherlands as a natural anti-inflammatory agent for joint complaints. 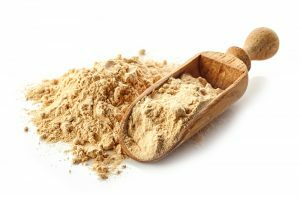 Many suppliers of health products therefore also bring their own formula to the market to take part in this health trend. Joint products that contain this special crustacean are therefore available in many varieties at the drugstore, pharmacy and health shop. The sales prices vary from 10 to 140 euros. However, there is a big difference in quality between these products. The origin and quality of the Green-lipped mussel, the type of processing and the dosage form determine whether such a supplement actually has an effect on the inflammatory processes or not. These factors also affect the price of such a Green-lipped mussel supplement. The anti-inflammatory effect of Green-lipped mussel is based on the Omega-3 fatty acids, Furan fatty acids and special proteins. When you use a Green-lipped mussel extract, you will only get part of these anti-inflammatory substances. The Green-lipped mussel is opened by means of a heating process and only the fatty acids are removed from the mussel meat. Due to the high temperatures, however, a part of the favorable fatty acids is lost. Moreover, the mussel proteins that also have an inhibiting effect on inflammations are missing. As a result, an extract is less effective than the entire Green-lipped mussel. Green-lipped mussel is also available as granulate or powder. These health products can be found in the lowest price range. However, cheap is expensive, also in this case. A powder is nothing more than a waste product from the extract product mentioned above. After removing the Omega-3 fatty acids, the remaining mussel meat is boiled, dried and grinded to powder. The anti-inflammatory effect of the fatty acids is therefore lacking in such a product. It does contain the mussel proteins, but these are damaged by the cooking process and therefore less effective. It is therefore better to ignore a powder or granulate. Finally, this New Zealand crustacean is also available in liquid form. The shell is opened under high pressure and the green lip mussel is removed. By means of a special procedure, the entire Green-lipped mussel is then liquefied. This process goes without heating in order for the Omega-3 fatty acids, Furan fatty acids and special proteins not to be damaged. This liquid formula therefore contains all anti-inflammatory components, with which the native Maori kept their joints in healthy condition for many centuries. In addition, a liquid has the additional advantage that the active ingredients are absorbed faster and more completely through the gastrointestinal tract. 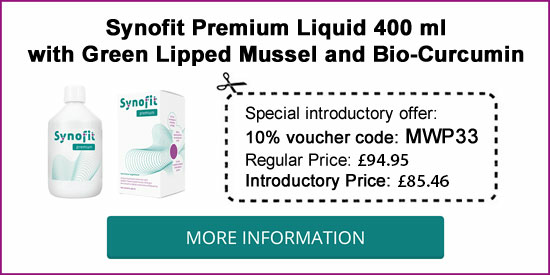 Liquid Green-lipped mussel is available with the additions Bio-Curcumin and Blackcurrant leaf. 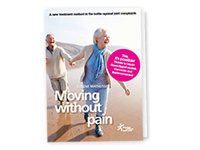 These components further expand the anti-inflammatory effect in the joints. With this combination, several clinical studies were carried out in Brussels: in 2017 (read more).